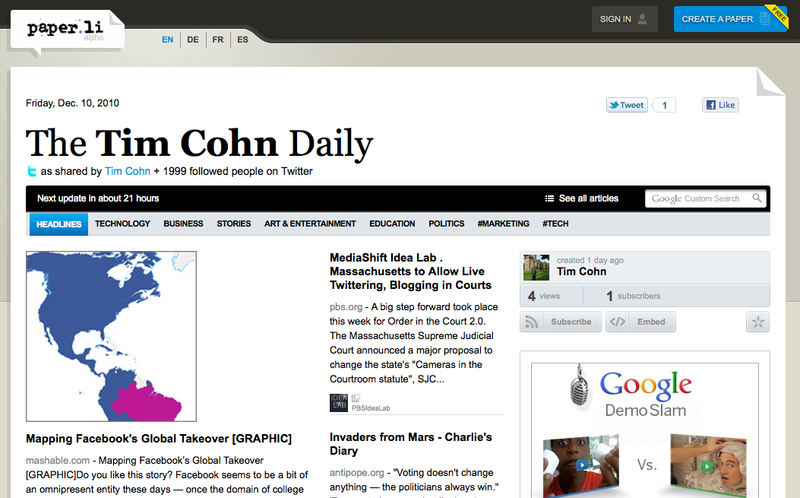 I don’t yet know how I can incorporate use of The Tim Cohn Daily via Paper.li. What are some innovative uses of this cool Twitter tool? This entry was posted on December 10, 2010 at 4:42 pm and is filed under Paper.li. You can follow any responses to this entry through the RSS 2.0 feed. You can leave a response, or trackback from your own site.